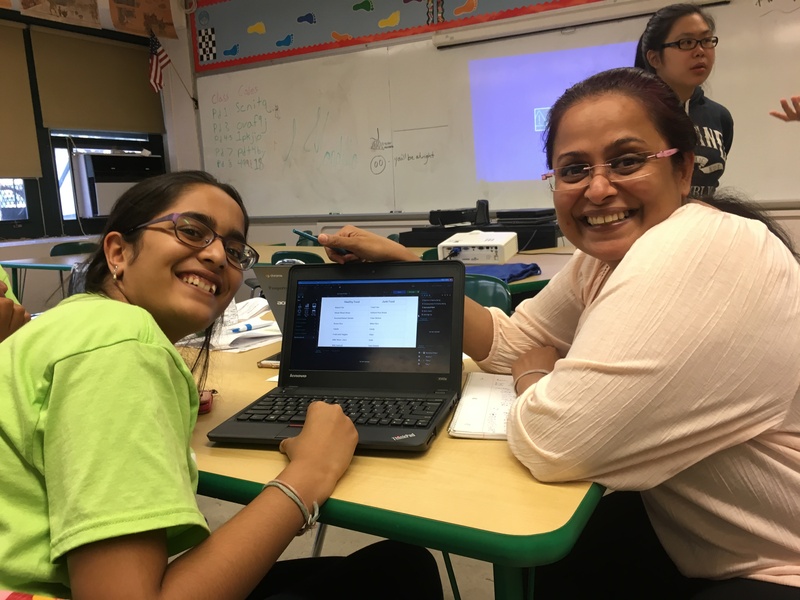 This past Saturday, a team consisting of mother and daughter, Ishita and Jigyasa, competed in the Queens Experience Social Hackathon (QXSH Social Hackathon). The Hackathon consisted of parent/guardian/child teams from Districts 27, 28 and 29 held at Springfield Gardens Campus. They had a wonderful experience, in fact, Ishita will be volunteering at the next QXSH on Dec. 10th. Other parent/guardian teams are invited to attend by contacting Ms. P. Elfers at pelfers@schools.nyc.gov for information and registration. “Social hackathons use the problem-solving-sprint workflow of a traditional hack, but changes the stakeholders and creation tools to create a more inclusive environment. The Queens Experience Social Hackathons are designed to engage and expose communities to computer science. NYC high school and middle school students will work with their parent to form teams that will be challenged to create a positive and lasting social change within their community using computer science principles and entrepreneurship. With the support of volunteer mentors and CS4All staff, teams will create a working prototype for a mobile device, a philanthropic business plan, and a promotional kit that addresses social and economic issues in their community. The fall QXSH series will be held on Saturday November 19th and Saturday December 10th at Springfield Gardens Campus and the Campus Magnet Education Complex respectively, with a focus on high school and middle school student communities.” See QXSH for additional details.